It finally happened. Bruce Wayne spent a night in Arkham Asylum, and it wasn’t a social call as his alter ego. 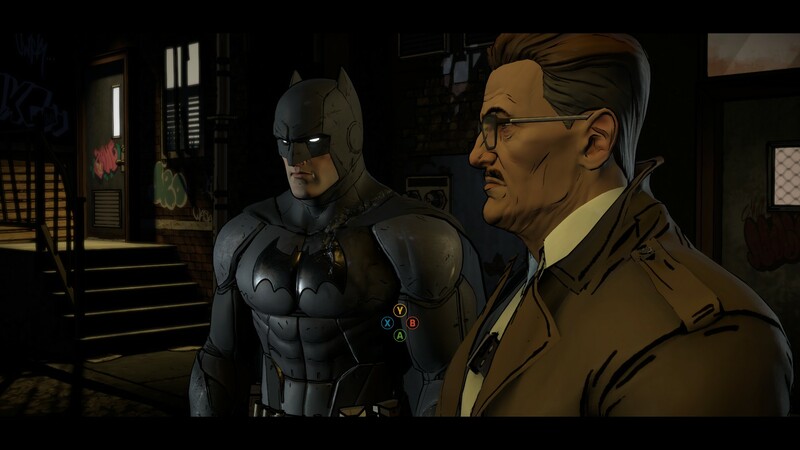 Episode four, the penultimate part in Telltale’s Batman series opens up as our boy Bruce is just waking up after his drug-induced psychotic attack at the end of part three. Seems like his pal and now mayor-elect Harvey Dent wasn’t at all thrilled about his exploits (or the idea of it happening when it didn’t) with Selina Kyle, and has decided to bring down the hammer on his former campaign supporter. Sadly for us, Wayne’s stay at Arkahm is a short one, but regardless of the length of his hiatus as the Caped Crusader, the little of it that we spend getting to know some of the inmates was enough to develop quite a bit of potential character development and hints at what’s to come in the future in Telltale’s take of the Batman mythos. It includes quick glimpses at a few known criminals, as well as the biggest one of them, a certain prince clown of crime, who for some reason decides to play the part of Bruce’s only pal in the asylum. One way or the other, we manage to get out to discover that Gotham hasn’t doing very well during Batman’s absence, falling even deeper in the chaos caused not only by the Children of Arkham, headed by their newly unmasked leader, Lady Arkham, aka reporter Vikie Vale, as well as a wrench or two thrown in by a mentally unstable Mayor Dent, who’s using his personal grudge against Wayne to enact martial law all around the city. Luckily for Batman, he still has some well-meaning friends still left for him to count on, who eventually help him get close to the bottom of things. Well, that before the situation spins out of control in the lead-up to the season finale in a few weeks. In comparison to the previous episodes, it’s easy to say that that Guardian of Gotham is most tightly packed of the bunch, and much like the previous entry in the series, it has quite a bit of everything. It’s worth mentioning that the action scenes in this one are incredibly well put together, even though the context might feel a little forced, considering who’s doing the fighting. Still, for the little bit of everything that’s packed into this two-hour show, it’s quite impressive that Telltale’s managed to get everything working right, including the performance of its game engine, which held together for the entirety of my single sitting playing this episode, something I couldn’t dare say about the previous ones that came out. Although it’s quite obvious who Batman will be taking down in the finale, one thing’s made clear in episode four: there will always be someone else for our hero to go after. 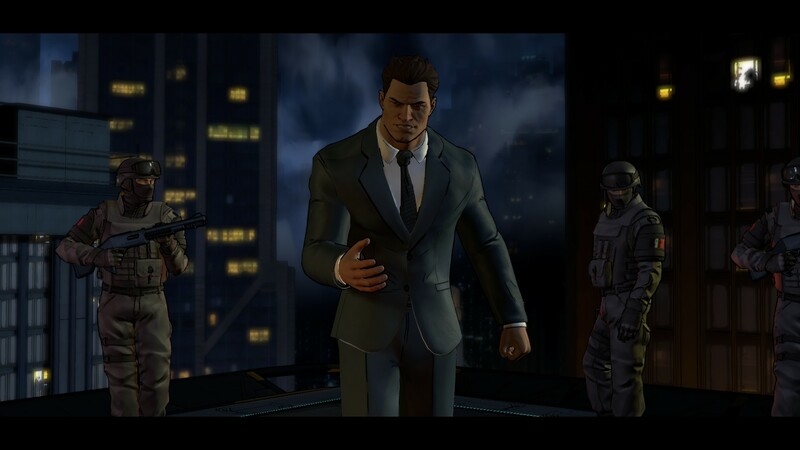 And as our friend John “J” Doe promised in Arkham, it won’t be the last time we see chaos ensue in Bruce Wayne’s life.